This wolf pups video is from Montana. Although these pups are having a great time, their existence is always tenuous. If a pack gets into trouble with humans (usually ranchers) - they can get exterminated - pups and all. No sympathy for cuteness or rarity. Isn't it time we reexamine our priorities? Should we kill of a recovering top predator because they eat a tiny amount of the millions of cows slaughtered every year so Americans can have cheap meat? The average wolf pack in Montana has 6 to 8 animals. The U.S. Fish and Wildlife Service designated 3 separate wolf recovery areas in the northern Rockies: northwest Montana, Central Idaho, and the Greater Yellowstone area. 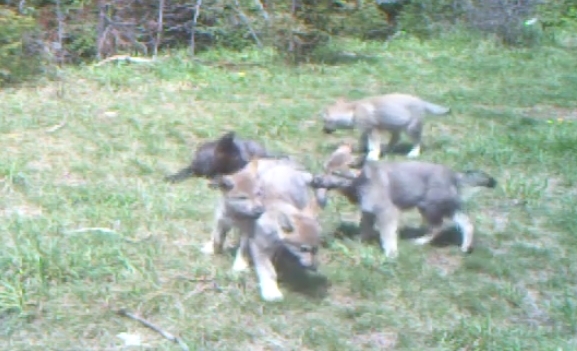 Responses to "Wild wolf pups are having a great time in Montana (Video)"